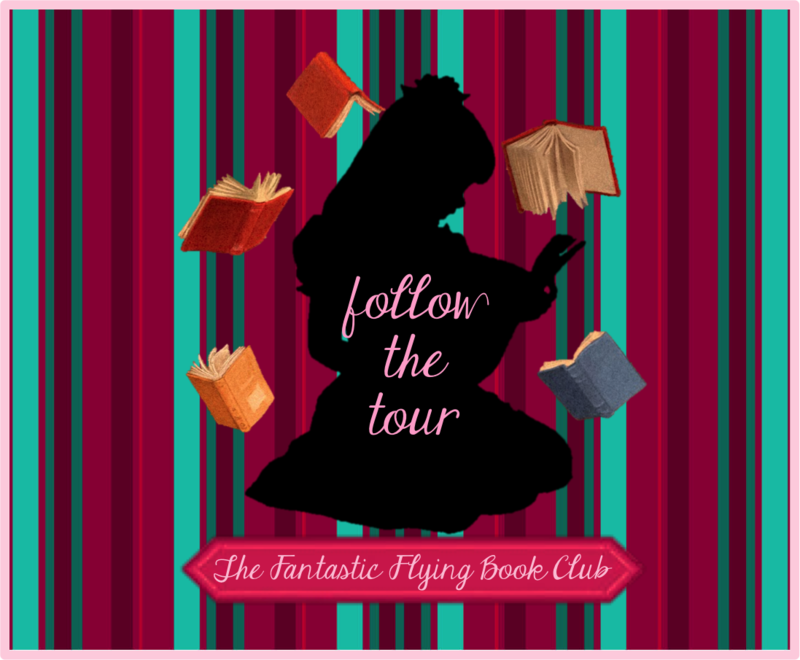 I actually wasn’t scheduled to do a review originally for this tour but they sent out info for the books and it was one of those days that I decided to “take a look”. Which sometimes means I just read a few pages or actually read the book. This was one of those cases where I devoured the books. I became obsessed and I read each of the first two books in a day respectively. I was so sucked into the world that I started Foresworn right after Forecast but actually stopped reading. To save the reading high. Some book series just click with me and this was one of those series. It’s hard for me to review the books separately because my brain puts them all together in one big awesome novel. 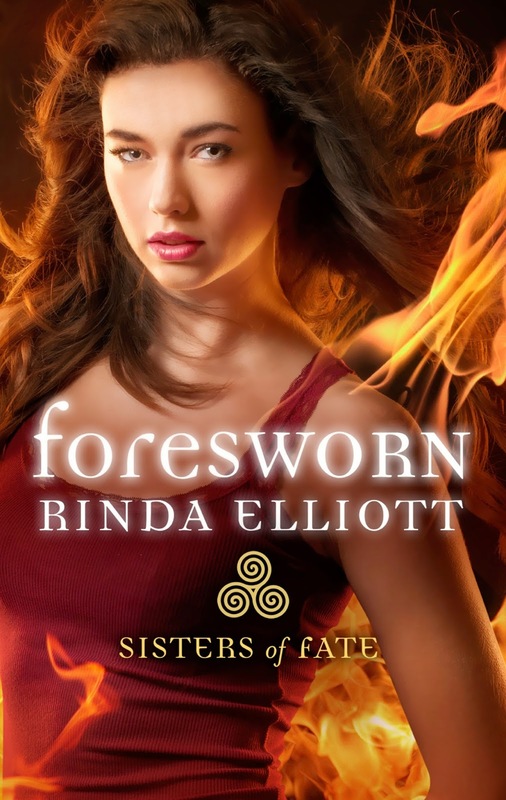 There are so many things I love about Foresworn along with the Foretold and Forecast. First the books are very uniquely written. Each book is a sister perspective and the timeline of the books overlap. 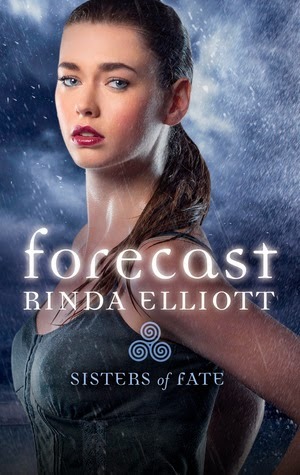 I was impressed with the way that Rinda kept the sisters interactions straight from book to book. I felt like they fit together flawlessly. Another thing that I think is very cool about this series is that the books begin at the start of the End of World. You often read books that are trying to avoid the start of the End or books that take place after the end. It’s not as often that you see a series taking place during. It was cool the way Rinda took Norse mythology and Ragnarok to bring it about. You could tell that she had done a lot of research just by the amount of Gods and Goddess and how well the mythology was executed. I love a book that makes me want to look things up and learn more about them. Big battles can be tricky because sometimes you find they fizzle out. In this case I was really happy with the end of the book. I think it was perfect. There events and small battles that lead up to the major showdown at the end. So things come about naturally. It’s not like they are just hanging out and boom everything is over. I really liked how things played out and were resolved. The Epilogue is absolutely perfect. So the main players. The books center around each of the three sisters and their warriors. 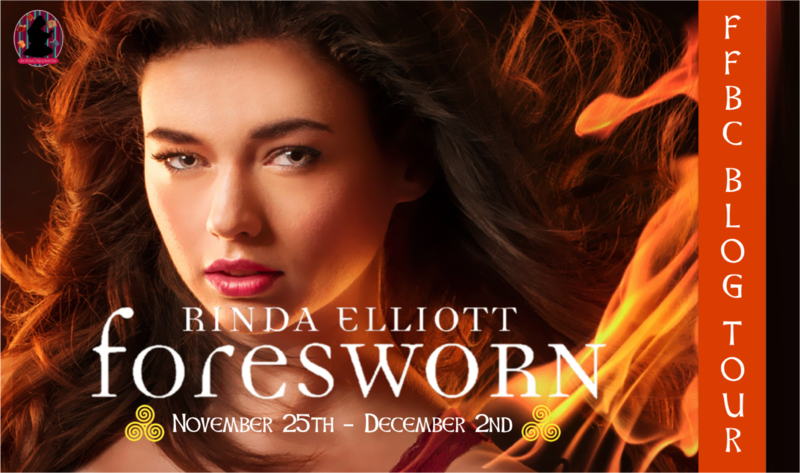 Kat is featured in Foresworn and at first I had expected Coral to be the last one but Kat definitely made the most sense. The sisters are similar but have their own qualities that make them stand out. Kat is fierce and protective of her family. She is also probably the most cautious when it comes to people. Arun is kind and quiet and seems to see the good in everyone. They manage to balance eachother out. We see the sisters grow in each book but I think Kat grows the most. If you have read the first two books,you will not be disappointed in how things are wrapped up. If you haven’t read them. What are you waiting for! Definitely pick them up. My favorite warrior in the series was Vanir (the bathroom kidnapping scene). My favorite sister is definitely Coral. I love that she is sweet but also fierce. My favorite couple though would be Kat and Arun. They felt like such a partnership. \Q. You often see books with Greek/Roman Mythology, what made you choose Norse Mythology instead? Were you familiar with the Mythology besides settling on it as a topic? A. Yes, I was very familiar with the topic. I’ve always had a fascination with Norse mythology—long before I learned my first name is actually Norse and means giant. One of the first books I wrote was a this sweeping, paranormal romance set in a castle in Wales with this brooding hero suffering from an old Viking curse. I never published that one, but I always knew I’d do something bigger with the mythology someday. Q. How do you conduct your research? Do you use the internet, hit the books at the library or out in the real world? A. Both the Internet and books. I actually own quite a few books on Norse mythology. I love reading about the different interpretations in the myths. 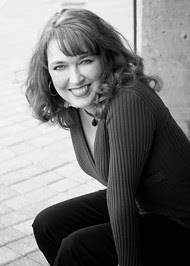 They make it fun to work with the mythology—to manipulate them into my own stories. Q. Which of the sisters was your favorite to write? Favorite God soul carrying boy? A. Picking a favorite would be so hard! In fact, I can’t because I love different aspects of each character. I suppose I identified the most with Raven. I’m the oldest of three sisters and our family moved a lot, too, so I understood her need for home. I love Coral’s sweet, yet strong nature and the way she wants those around her to be happy. Love her curiosity. And I’m crazy about Kat’s gruff nature because she thinks it covers up her huge, protective heart. As for the boys? I love how attentive Vanir is, how fierce and protective Taran can be and Arun’s amusement over Kat’s bluster along with his acceptance and even attraction to her nature was great. Q. The books have moments when the overlap, mostly phone calls. How did you keep that straight when you were writing. Did you put a big sticky note that said talked to Kat here? A. This was the hardest part of writing these books. I created a timeline and had to make sure I knew where everyone was at all times, take into account time zones, etc. When I got to the third book and realized just how tight I’d made Kat’s story, I took all my notes and sat down with my critique partner. I shared what had to happen and how much time Kat had to accomplish it. My CP’s eyes got really big, and then we settled in and hashed it out. We do this often—show up with notes and help each fine tune plots. Still, while actually writing the book, I had to keep the first two books open and do a lot of checking. And yes, there were sticky notes all over my monitor sometimes. LOL. It will be some time before I’ll work on simultaneous books again. I won’t say never, because who knows? The challenge was fun and I really enjoyed showing what was happening on the other end of the phone calls. Q. Did you outline all three books before writing the first one? A. I did not. Not detailed outlines anyway. I had a rough plot outline of books two and three and the first book written entirely when Harlequin Teen acquired them. The seriously cool part of writing Foresworn was that I ended up having goose bumps quite often while finishing up the research. 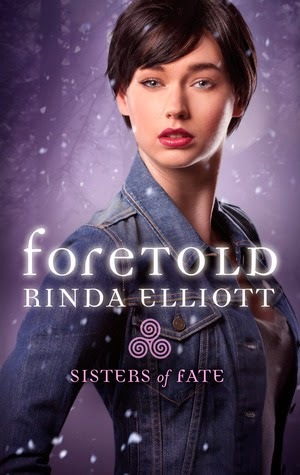 When I wrote FORETOLD, I knew what needed to happen in the other two books and had set aside important research done before FORETOLD was ever written. And I knew that the third book would be set at Yellowstone because of the all-consuming fire aspect of Ragnarok. Yet, as the books came together, it almost felt like I’d subconsciously picked areas, places and characters for very important and specific reasons. Raven, Coral and Kat are part Arapaho and I chose that because of research on the Kensington Runestone. When I picked Yellowstone, I hadn’t realized how very much the rich Arapaho history would tie into that setting and my story. There’s an incredible legend about why the Arapaho didn’t want to share the location of Yellowstone for so long. Everything just blended into FORESWORN like the story was already out there and I was just discovering it myself. I love when stuff like that happens while writing. Q. If you could have any talent/job in the world besides writing. what would it be? Q. Describe your book in 5 words. A. Action-packed modern mythological teen romance.